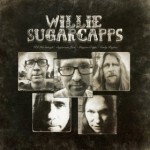 FTB podcast #225 features the self-titled album by Willie Sugarcapps, a new band which includes Greyson Capps, Will Kimbrough, Sugarcane Jane & Corky Hughes. 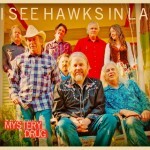 Also new music from Fruition, Rob Nance and I See Hawks In L.A. Here’s the iTunes link to subscribe to the FTB podcasts. Here’s the direct link to listen now! CHRIS LEIGH & THE BROKEN HEARTS – Ramblin’ Man Who’s That? Here’s the RSS feed: http://ftbpodcasts.libsyn.com/rss. Freight Train Boogie podcasts also air weekly on RootHog Radio and on Rob Ellen’s Flyinshoes Review. You can even buy the Freight Train Boogie Americana Android App from Amazon for only $1.99. 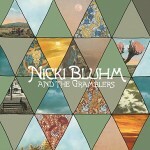 This entry was posted in Americana Music, Americana Music podcast, Music, podcast, roots music and tagged CHRIS LEIGH & THE BROKEN HEARTS, COLE MITCHELL, FRUITION, I SEE HAWKS IN L.A., LINDSAY LOU & THE FLATBELLYS, NICKI BLUHM AND THE GRAMBLERS, OVER THE RHINE, ROB NANCE, ROBINSON TREACHER, TODD HERFINDAL, TOO SLIM AND THE TAILDRAGGERS, WILLIE SUGARCAPPS. Bookmark the permalink. Thanks for the WILLIE SUGARCAPPS. Like ’em alot!